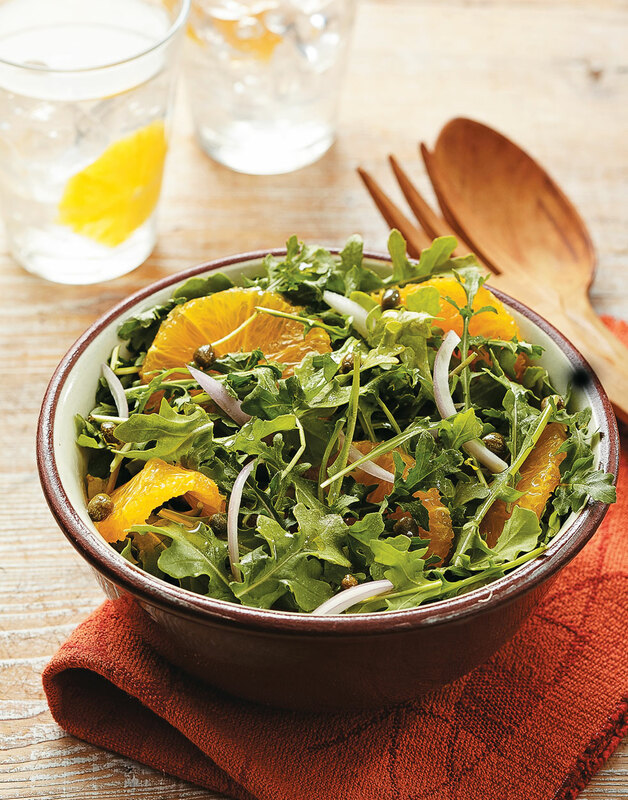 Sweet with a hint of spice—this recipe for Arugula & Orange Salad hits the spot for the perfect healthy appetizer. Arugula is best used right away. If possible, purchase bunches with the roots still attached to prolong the short flavor life of the greens. Whisk together orange juice, oil, honey, and capers. Combine arugula, orange slices, and shallots, then toss with vinaigrette to coat.